To encourage the busy gamers who are continually on the road we produce the mini travel games. 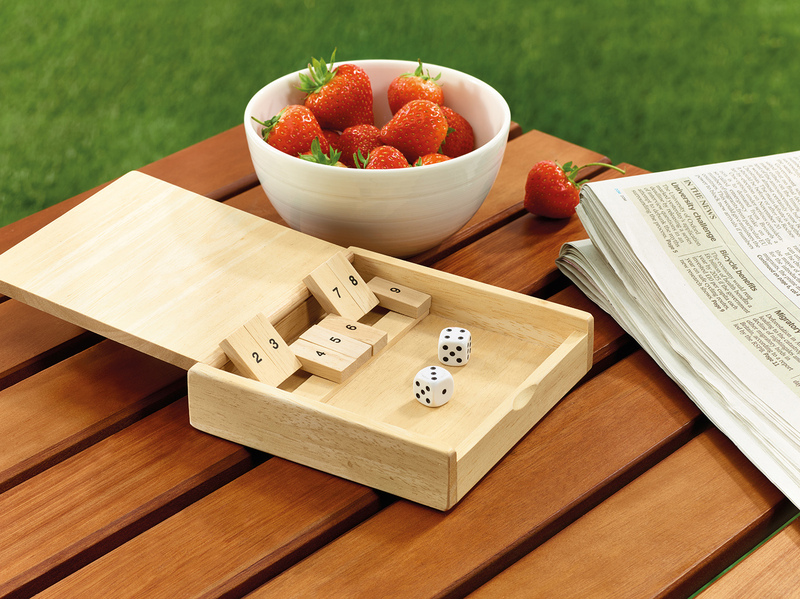 Each game is almost half the size of the original wooden games, allowing for easy storage when on the move, yet are still made with the highest standards resulting in the smoothest finishes. 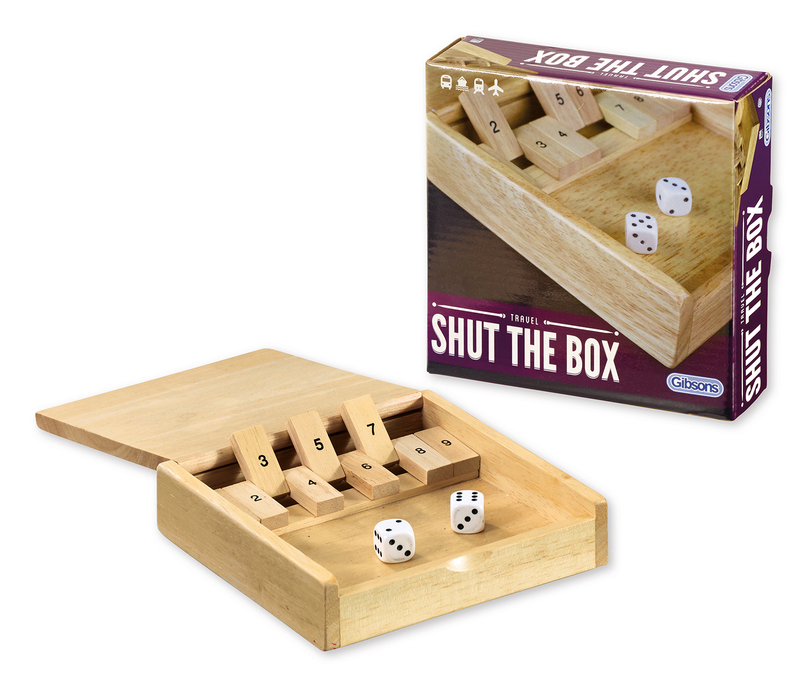 The box not only acts as storage for the pieces but has been designed to double up as a playing board, making the games functional as well as an aesthetically pleasing travel companions. Two dice and nine numbered flaps make up this clever game of skill and fortune. Each player takes it in turn to throw the dice. Each time the dice is thrown the player may close one or more flaps with a total ‘value’ that matches the combined value of the two dice. For example if a player throws a five and a four, they could close either just the flap marked ’9′, or both the ’5′ and ’4′ or ’6′ and ’3′ or ’2′, ’3′ and ’4′ or any other combination. If you cannot close a flap or flaps to the value of the dice, the turn passes to your opponent. The object is to finish your turn, leaving as few flaps open as possible. A small wager often adds fun to the result! Instructions included.